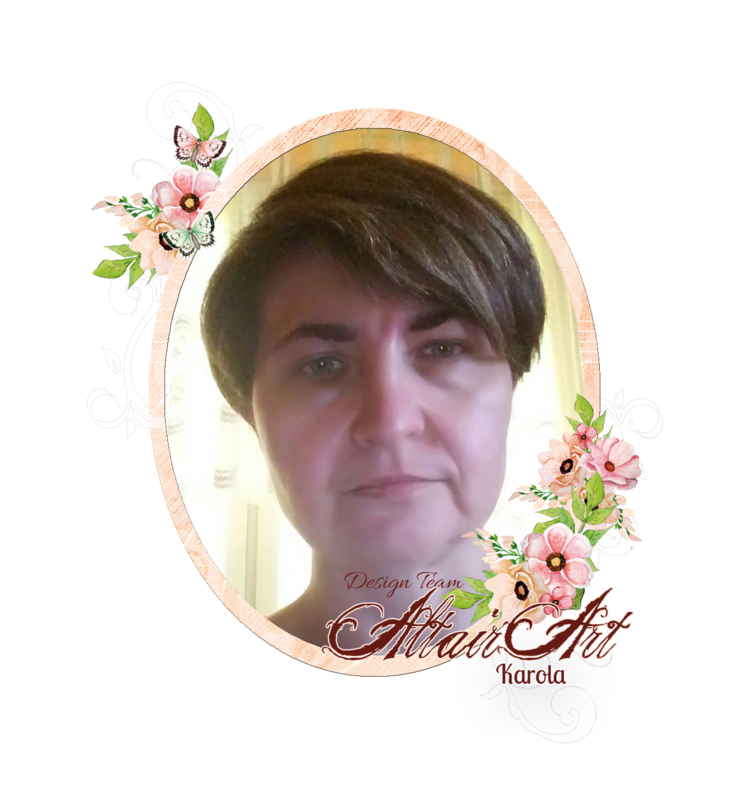 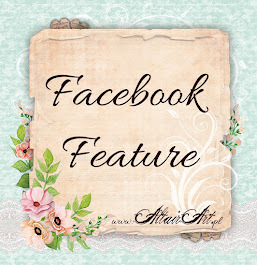 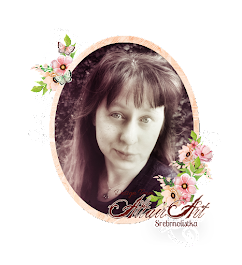 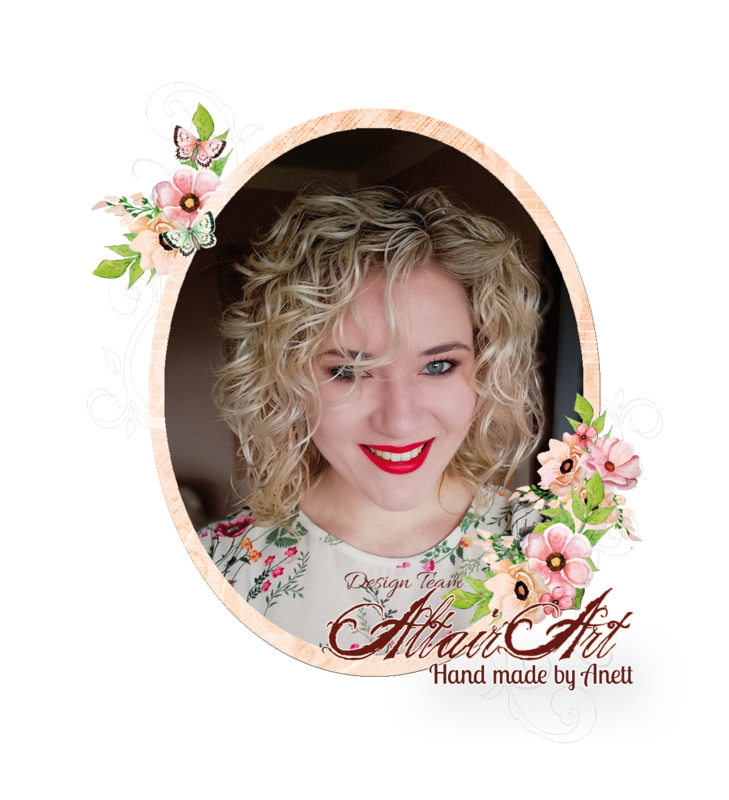 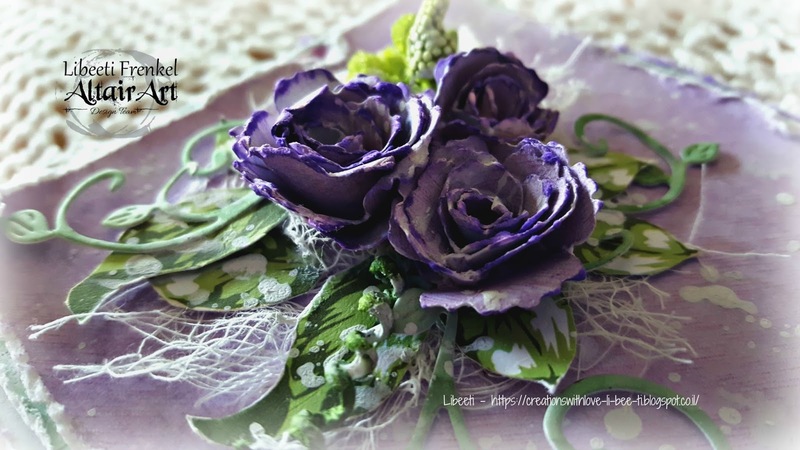 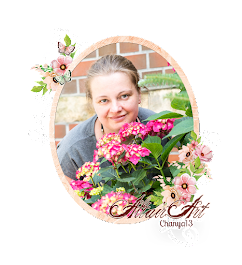 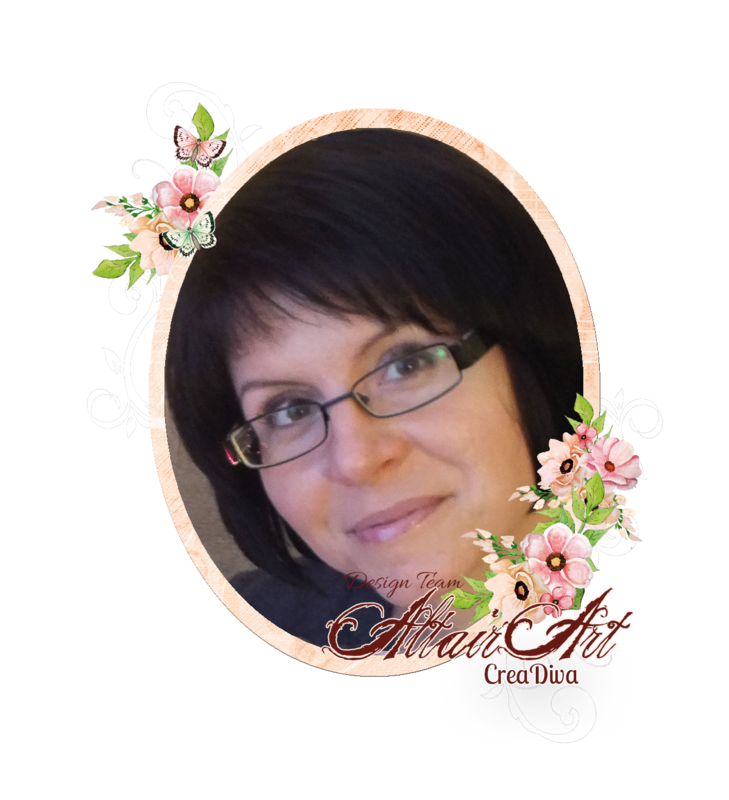 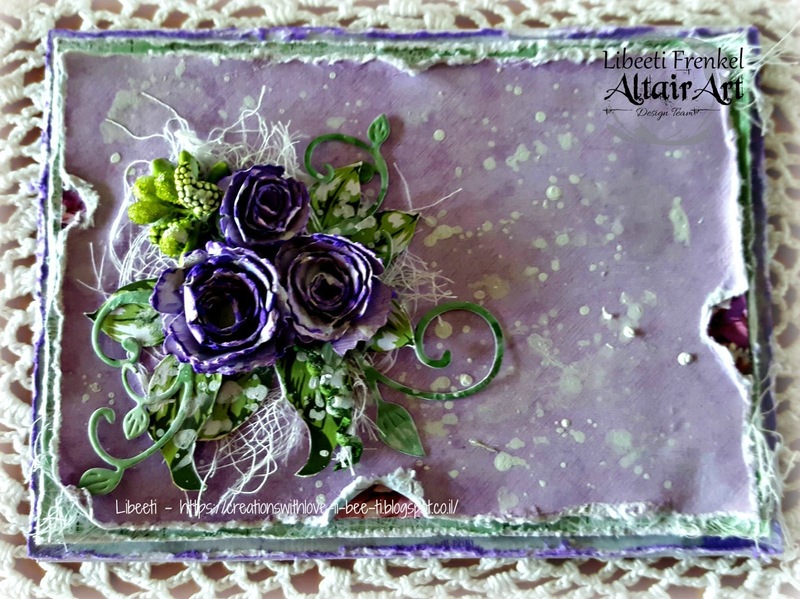 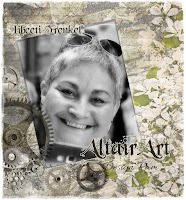 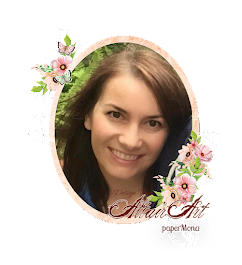 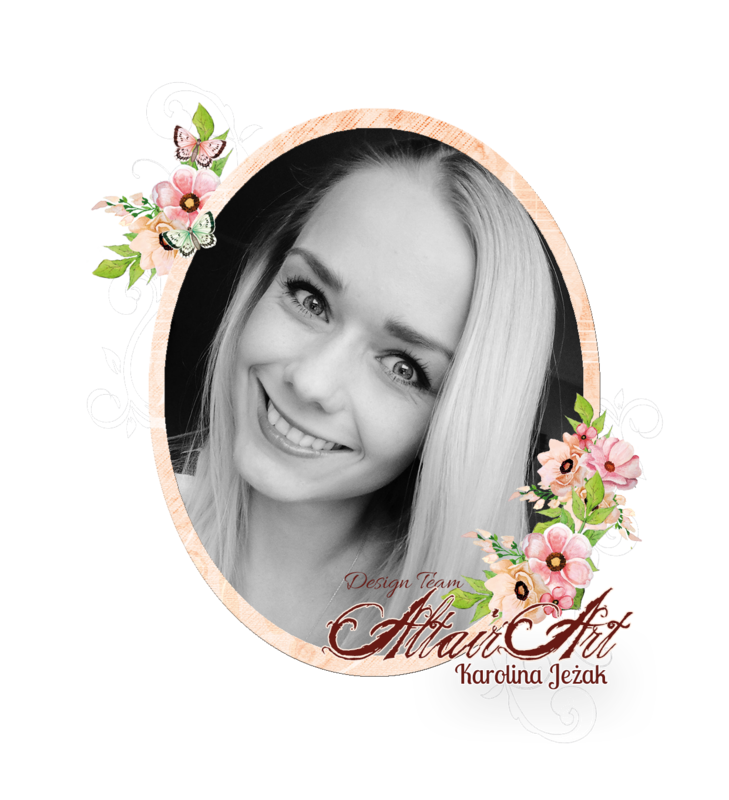 Hello dears, it's Libeeti here, sharing with you an all occasions card I've made with the beautiful papers from Altair Art. 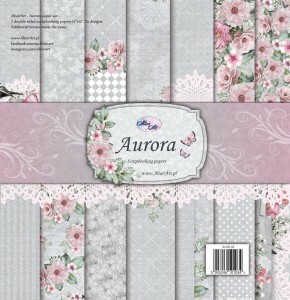 The papers are so so beautiful that you can make a whole project using only these papers, like I did. 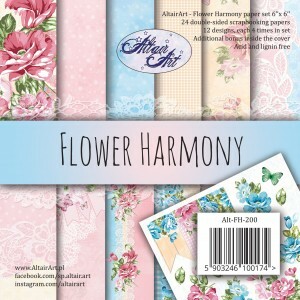 The only thing which is not Altair Art product on my card is the green buds, otherwhise the flowers, the leaves and the swirls are all from Altair Art papers. 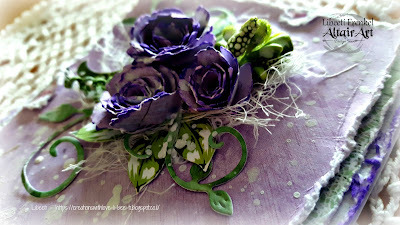 I also used some cheese cloth and splatters with diluted white gesso. 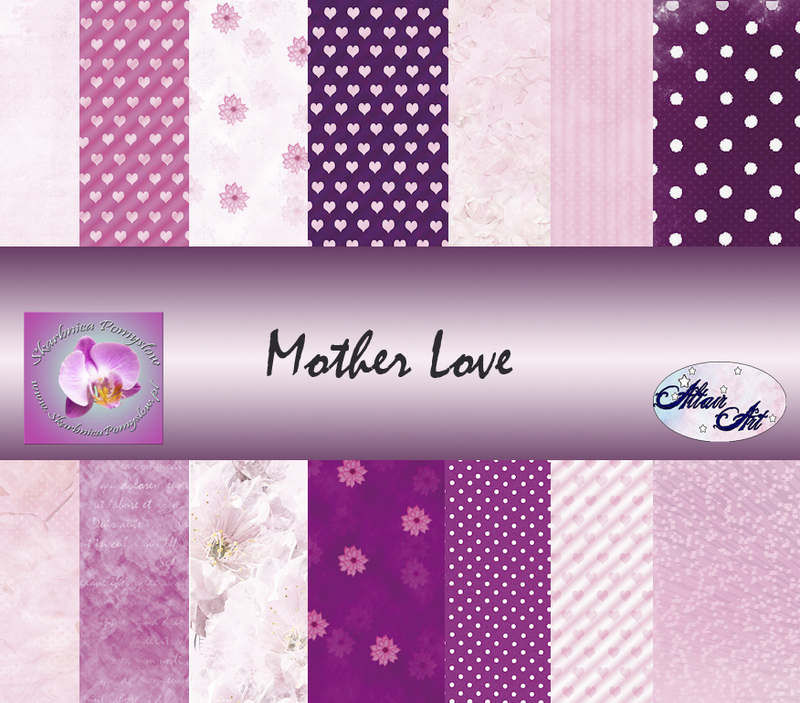 I just love multi layers, and I love there's just a hint of the layers underneath. 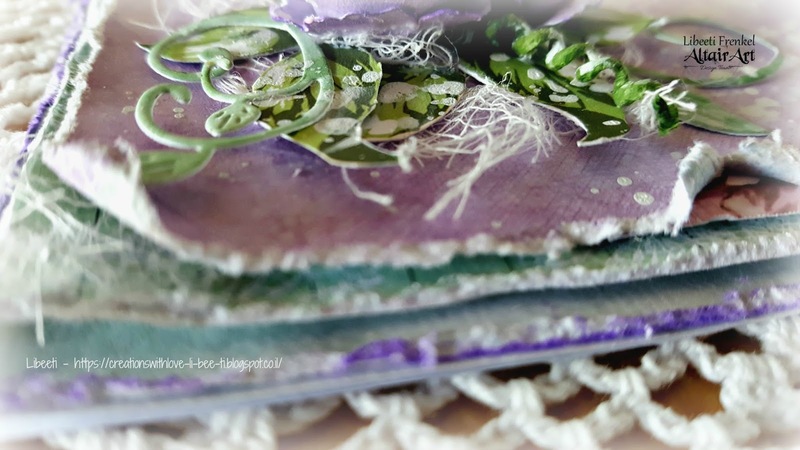 Distressing the edges and tearing the paper just a little, add dimension to your project and this vintage/ shabby chic feeling. 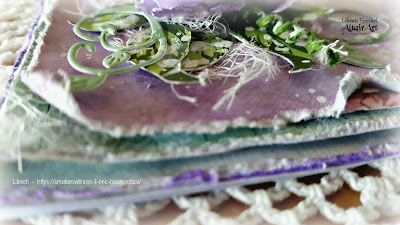 The chees cloth gives any project a bit of an airy feeling. 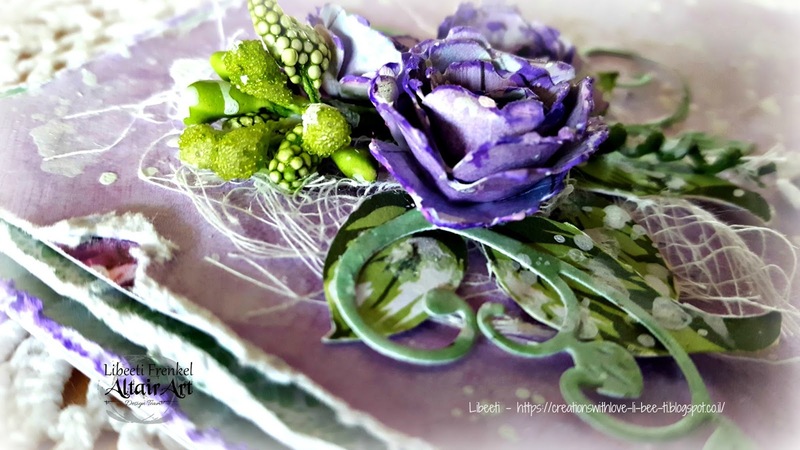 I really love the effect of the whtie gesso splatters on the papers and the embellishments. 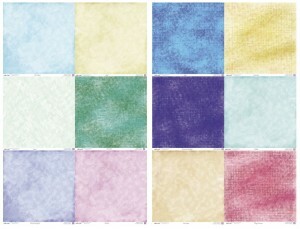 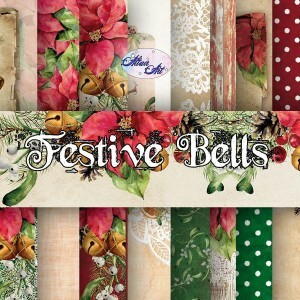 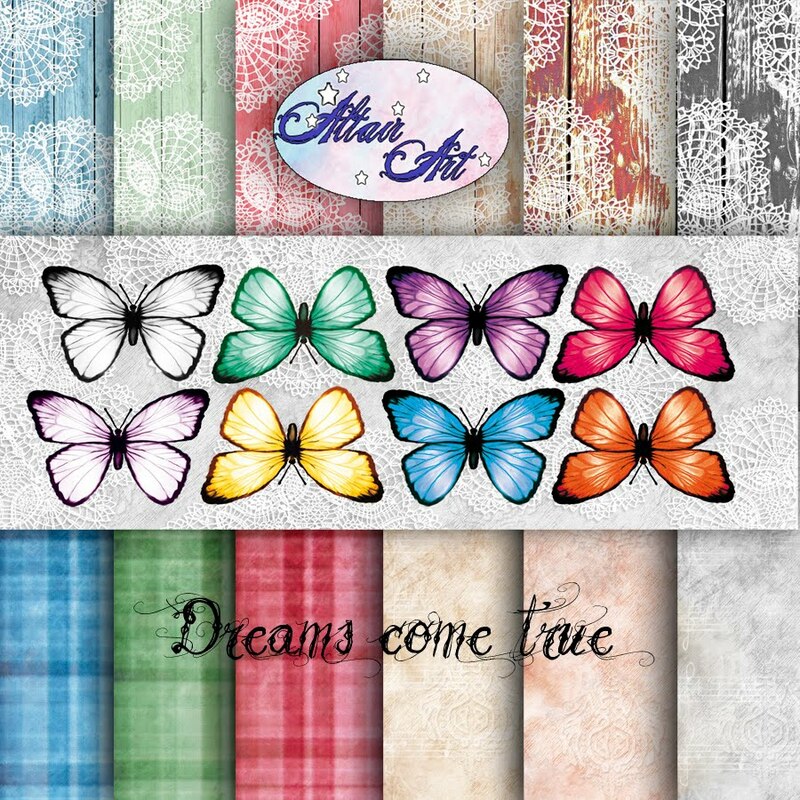 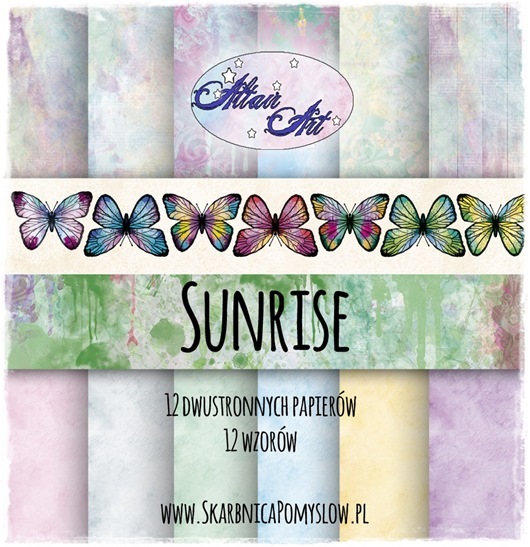 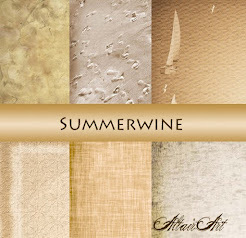 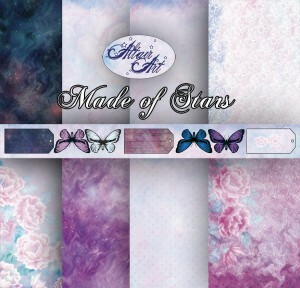 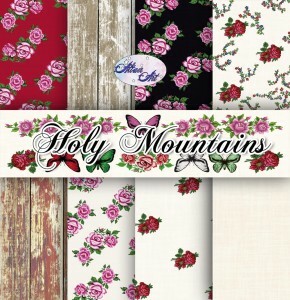 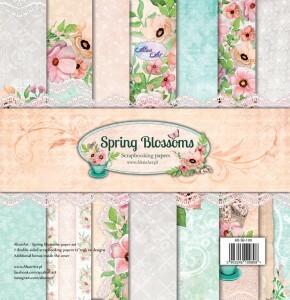 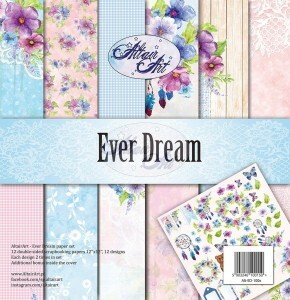 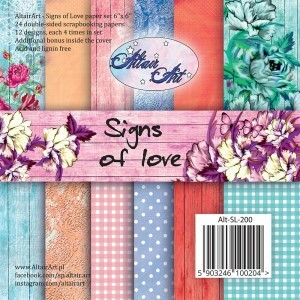 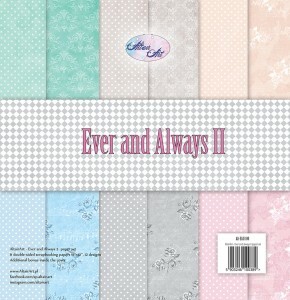 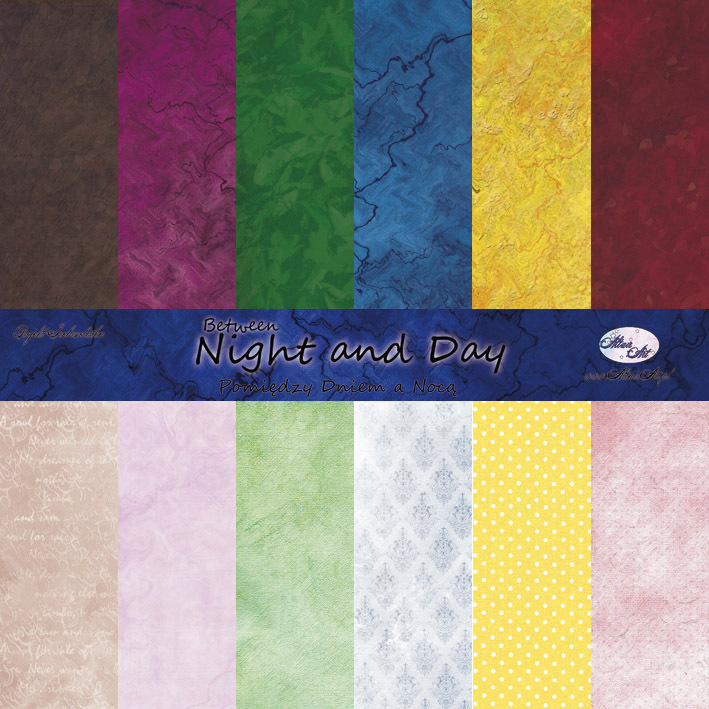 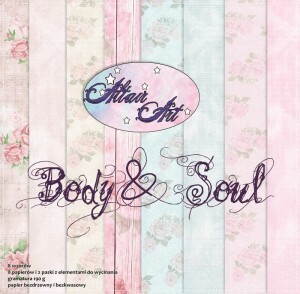 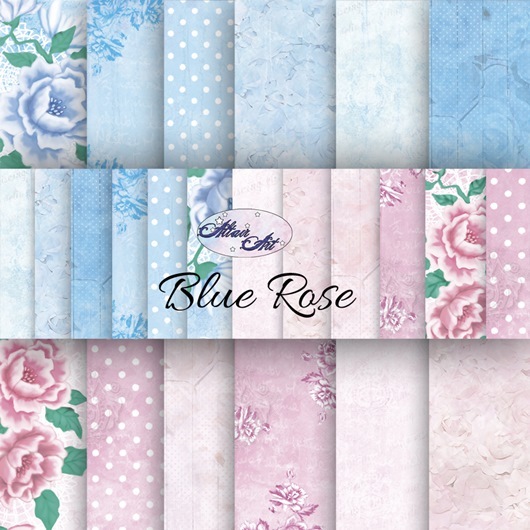 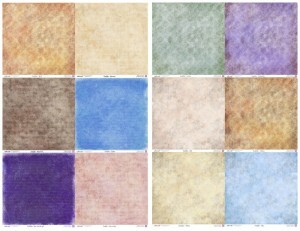 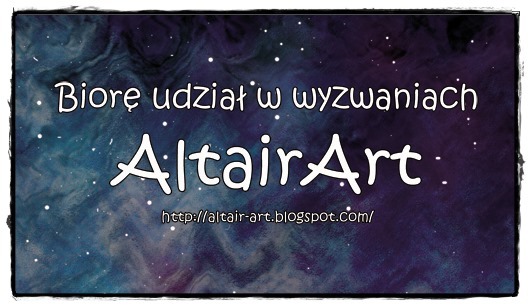 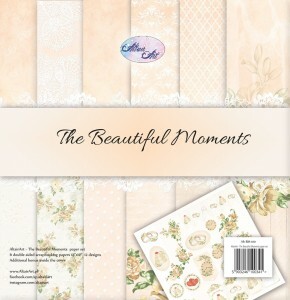 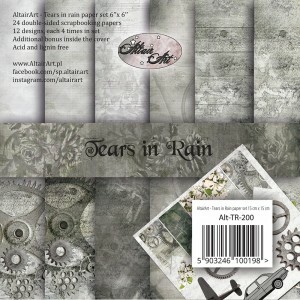 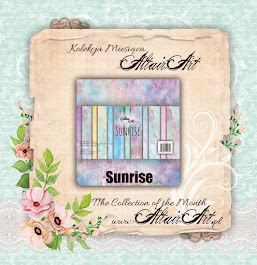 I hope you'll be inspired to make your own project, using Altair Art papers. 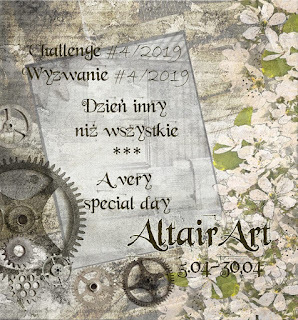 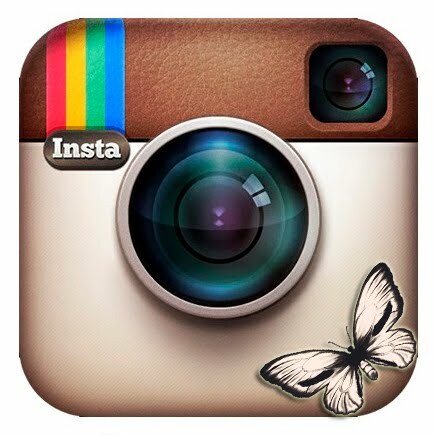 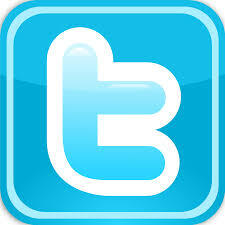 You can still join us in our challenge 'Spring is coming with butterflies and flowers'.